All our rooms are en suite and have been decorated to the highest standard, with extra large comfortable beds and high quality linen and towels. All room have tea and coffee making facilities, hairdryers, shaving points and other facilities to make your stay as comfortable as possible. 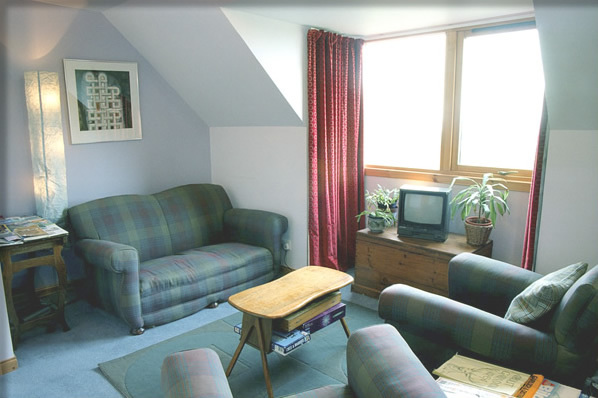 A wireless broadband internet connection is available free in all rooms. Dogs are welcome although not in the house. 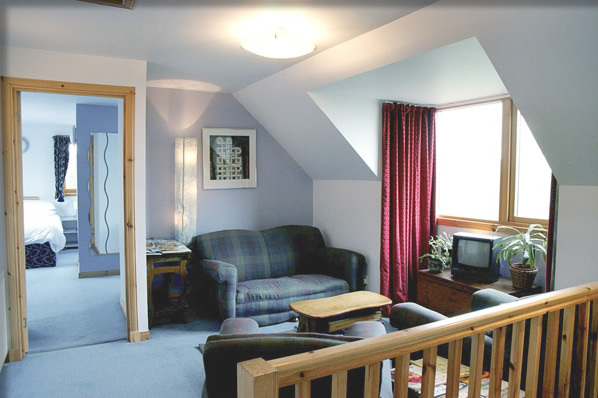 The master room is a luxurious spacious room with views of the Summer Isles and An Teallach. The room consists of an extra large high quality bed, a walk in wardrobe, and a large window seat. 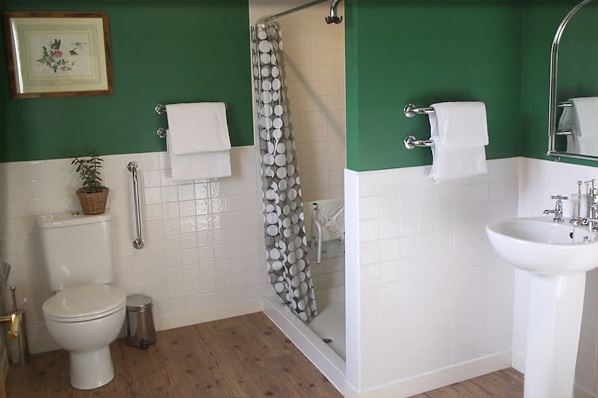 The luxury en-suite bathroom comes with a large double-ended bath with shower above. 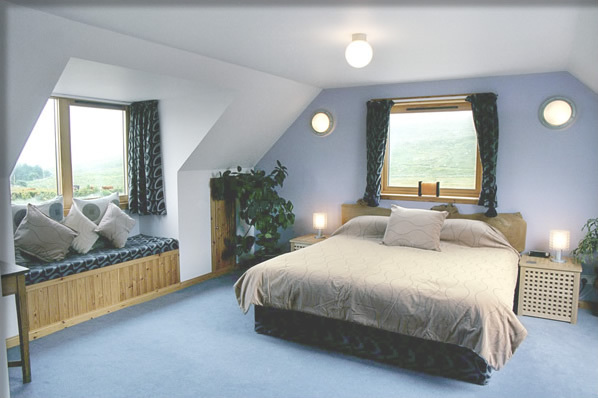 Another large airy room again with magnificent views of the Summer Isles. 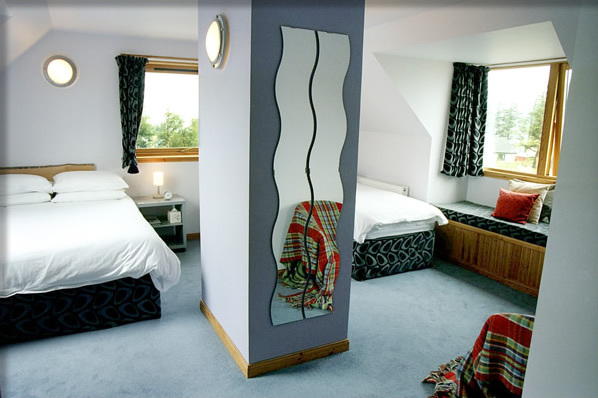 The room has a double bed, single bed and a pull out bed providing suitable accommodation for families. 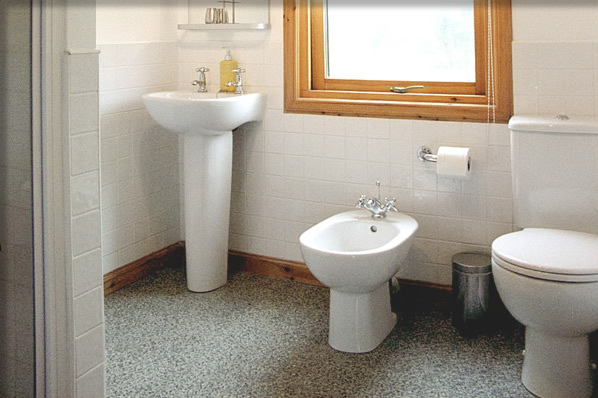 This room also has a luxury en-suite with shower and bidet. 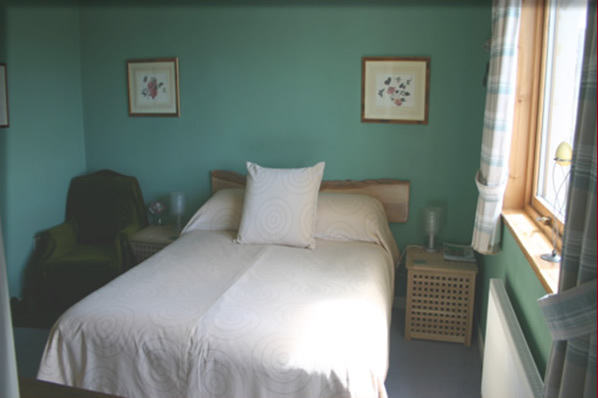 This room is situated downstairs for wheelchair access with views of the vegetable garden and surrounding hills. 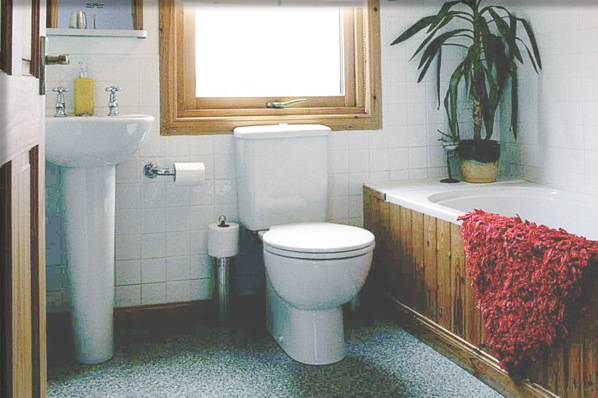 Another extra large comfortable bed with a spacious en-suite with fantastic power shower and bidet. There is a guests living room upstairs situated between the master room and family room where you can relax and watch television or if the weather is fine you can sit out on the patio or make use of the large garden. 10% discount if you stay for 4 nights or more. Checkin after 4pm unless previously arranged.